The spokesperson for the Westminster Kennel Club just admitted on the Today Show that the new breeds for this year’s dog show are nothing more than a product of mixing breeds together. Of course the club would never put the system in these terms, although it is factually correct. And of course all breeds have resulted from mixing different dogs together to come up the physical appearance of the current breeds. The process might have started years ago – even thousands of years ago for particular breeds, but the breeds of dog that Westminster and other kennel clubs promote are nothing more than wolf-hybrids. The shows and the kennel clubs and their promotions are actually nothing more than a promotional system to drive the price of puppies. 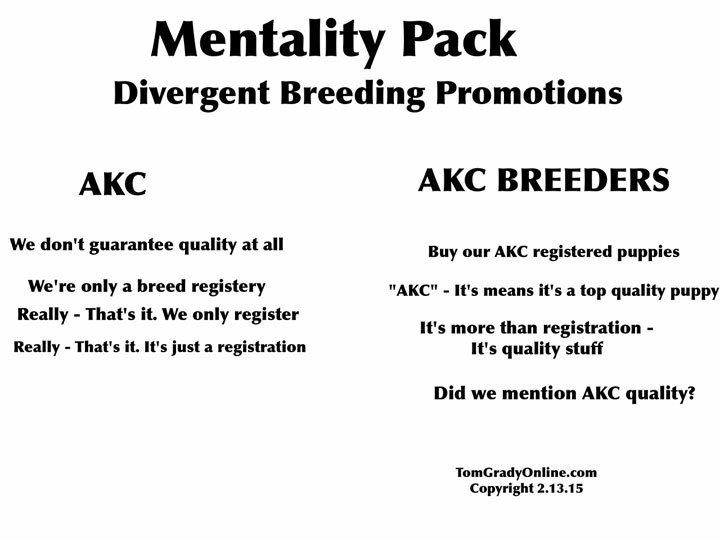 They want people to watch the shows and follow groups like the AKC to popularize the breeds and promote the purchasing of more puppies. Don’t fall for it. The shelter dog is worth just as much. In fact, the shelter dogs are in many cases the survivors of a horrible breeding system. The breed standards are actually detrimental to dogs. I’ll have more on this soon. And also coming right up will be my take on the new greyhound racing report from GREY 2K and the ASPCA. There’s a lot of animal welfare news flooding cyberspace and the airways out right now. I’m gonna keep hammering away at this, because every time I read about those opposing breeding regulations in states across the map, the same, tired, twisted mess keeps sinking to the bottom of the debate pond. So let’s review the basic proposals and specific regulations – with the key follow-up question – WHO COULD BE AGAINST THAT?! ** HUMANE HOUSING: Usually, the proposals in state bills set minimum, reasonable standards for the size of cages where the breeding dogs are housed or set a space requirement that allows the dogs room enough to turn around freely and lay down comfortably. And of course the cages should be free of feces and other unhealthy conditions. WHO COULD BE AGAINST THAT? – No reasonable person could opposed this provisions – PERIOD. The alternative is to allow breeders to force the dogs to live in horrible conditions. ** DAILY EXERCISE: The bills typically call for minimal amounts of time each day, when the dogs should be allowed to play or at least walk around a bit outside or within some open area. WHO COULD BE AGAINST THAT? – No one with an ounce of compassion in their soul would really suggest dogs housed in breeding kennels should be kept in their cages 24/7. We’d never want pets in homes to live this way. ** CLEAN FOOD AND WATER: Self-explanatory. WHO COULD BE AGAINST THAT? – The alternative would be dirty water and scummy food? Only a moron would not want the dogs to get clean food and water. ** VETERINARY CARE: Again, self-explanatory. WHO COULD BE AGAINST THAT? – Of course, I can hear the pro-puppy mill types saying, “Nobody tells me what to do with my property. It’s just like my car, I change the oil when I want to.” And that pretty sums up where animals stand with the pro-puppy mill side. ** LIMITS ON THE NUMBER OF TIMES FEMALES SHOULD BE PREGNANT IN A GIVEN TIME FRAME: Some of the proposals I’ve seen include this regulation and it’s a good one. The females should be given time for their bodies to rest. They are not factory machines. WHO COULD BE AGAINST THAT? – This, along with the other provisions, aids in the health and welfare of the dogs. It’s common sense and good veterinary science. WHO IS FOR ALL OF THE ABOVE? – Animal welfare advocates and quality breeders and every single human with the ability to think logically and have compassion for animals. Yes – quality breeders meet or exceed the standards of care being proposed across the nation. 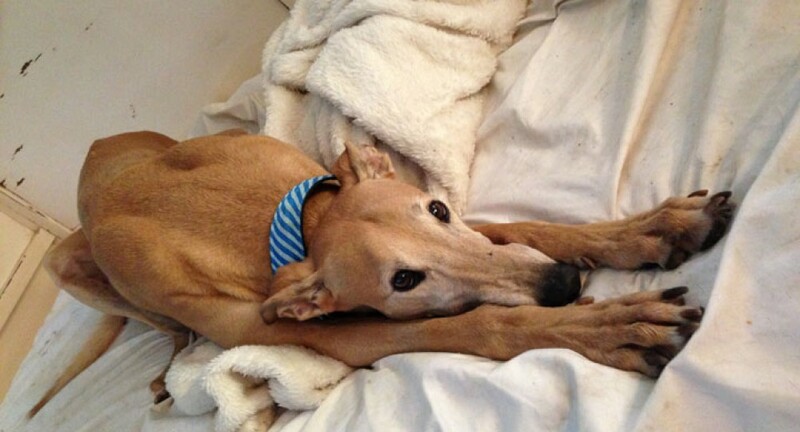 The only breeders who would be impacted are those that do not meet the minimums. And that’s the point – isn’t it? I repeat – That’s the point, isn’t it? And yet, we have groups like the AKC and others out fighting every bill to regulate dog breeding. The American Kennel Club continues to make statements that have no basis in logical thought or in facts – where breeding regulations are concerned. One of the AKC’s primary arguments centers on the false premise that minimum standards of care and/or inspections will hurt breeders. But here’s the clinching argument: Good, quality breeders already meet or exceed the standards being proposed across the nation. So it is the bad breeders – the puppy mills – that will face problems under new guidelines. This is the main issue after all. The AKC’s position leaks more than the BP Gulf Oil Gusher. If a breeder is not taking their dogs in for veterinary care or never allows them play time outside of their cages or is not cleaning their cages or kennels, then that breeder should be shut down. To suggest these minimum standards are too much, is showing support for puppy mills. On the AKC website, the group states a new proposal in North Carolina – “Creates unprecedented new levels of regulation of private property ownership.” I cringe when I see animals put in the same category with sofas and subdivision lots. They are wrong about this notion of private property, as it about the welfare of living, feeling beings. They are wrong about the shift, as enforcement should be a law enforcement issue – naturally. And they are completely off base about the well-being of animals. Protecting dogs and cats in puppy and kitten mills is all about the well-being of animals. I don’t know how one group can reach this level of being so wrong about this subject. As of July 1, all commercial breeding operations within the state of Minnesota will be required to obtain a license and will be subjected to annual inspections. Inspections are a key element that all states should enact. As long as breeding facilities meet minimum standards of care, they will have nothing to fear. Quality breeding operations will be allowed to continue to operate. The notion propagated by groups such as the AKC, suggesting breeding regulations will harm quality breeders, is wrong on its face. And of course, those who cannot meet minimum standards of care should be shut down. A bill to regulate puppy mills in my home state of North Carolina has regrettably stalled in the State Senate. Hopefully, the success in the Minnesota will help push North Carolina to take up the cause of compassion. We’ve read where the American Kennel Club is opposed legislation such as House Bill 930 in North Carolina because the group opposes setting a base number for how many dogs a breeder needs to have to be covered under these proposed anti-puppy mill laws. The AKC has also expressed concerned that all dogs need to covered under guidelines of basic care. So the group seems to be saying that it unacceptable to pass a law covering a limited number of breeders and that setting a cut-off number for the number of dogs on site or the number of litters or anything like that is wrong. The group’s leaders can do this because they know other groups and most likely the AKC would strongly opposed any effort to regulate smaller backyard breeders or so-called hobby breeders or hunting-dog breeders. I was really pleased to see that Real Sports with Bryant Gumbel has dipped into this issue of dog shows and breed standards – through the American Kennel Club and others – and horrible breeding practices in general. The American Kennel Club continues to stand on the wrong side of the push to shut down puppy mills. The last straw is the movement in my home state of North Carolina, where HB930 made through a full vote in the state House by a huge margin. But the bill is currently stalled in the Senate. The measure contains guidelines based on the AKC standards of care. Yet the AKC is now in a position of opposing a movement to set these standards statewide. There are some real problems with this statement. One is the fact that law enforcement offices all around the map are calling for clear-cut standards and often we see that conditions have to reach a horrible level before they can step in. To suggest that current laws are enough in states like North Carolina is to loose all credibility. It is just not a statement based on the facts at hand. Yes, we need to see the laws enforced. But the regulations are currently very weak in NC. In addition, we have a system of inspections in place for rescue shelters – yet nothing like this at all for breeding operations. Yes, the people and groups who rescue dogs and those who take in dogs pulled from puppy mills are inspected. But the puppy mills are not. HB930 does not contain a system for inspections. I wish it did. But you can be sure that groups the AKC would throw full tantrums if inspections were in the bill. The last thing they want is for breeding operations to face improved standard of care and inspections. The Minnesota state legislature could vote this month on a bill to regulation dog breeding in the state and offer a better means to uncover puppy mill breeders. How does the writer know this. At this point in time, I would venture to say the quality breeders are out-numbered by the substandard breeders, even to the degree of breeding practices that take into account genetics. One dog breeder is quoted, who doesn’t like regulation that requires the dogs receive some physical affection. Who could be anti affection? And I’m sure the AKC types will roll out their objections, as they usually oppose inspections and health standards and anything that might lead to better, more humane care. They believe it would be terrible for inhumane conditions to be uncovered during an inspection. Certainly they can’t be opposed to inspections where the breeder is taking great care of their dogs or cats. Megles cites information from the Humane Society of the US that states the AKC has opposed 90 state and local bills for the for the past five years. She rightfully notes PetSmart and Petco stopped selling puppies some time ago and over 2.000 independent pet stores have signed the HSUS pledge to no longer sell puppies. And I was happy to see the information about Facebook not allowing advertisements for puppies and eBay’s warning about on-line puppy sales.